Today's Cornish Cross chicken is much different than is was in the beginning of the meat bird industry from the 1920s. Each bird is the result of a cross breeding between two separate species of chicken, but the industry has kept the combination that produces these chickens a secret for obvious reasons. These chickens are the current type of chicken that end up on the supermarket shelves for consumer purchase. 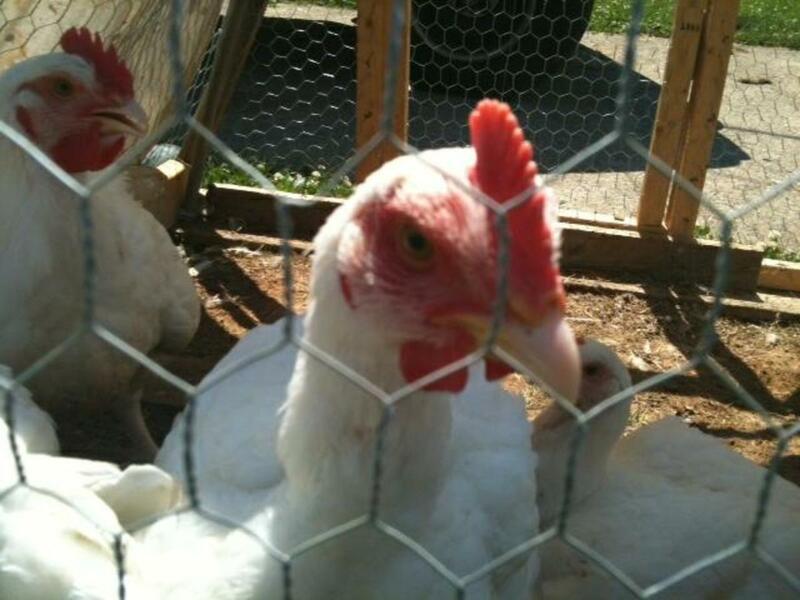 They are the current breed used for the majority of the meat chickens in the United States. 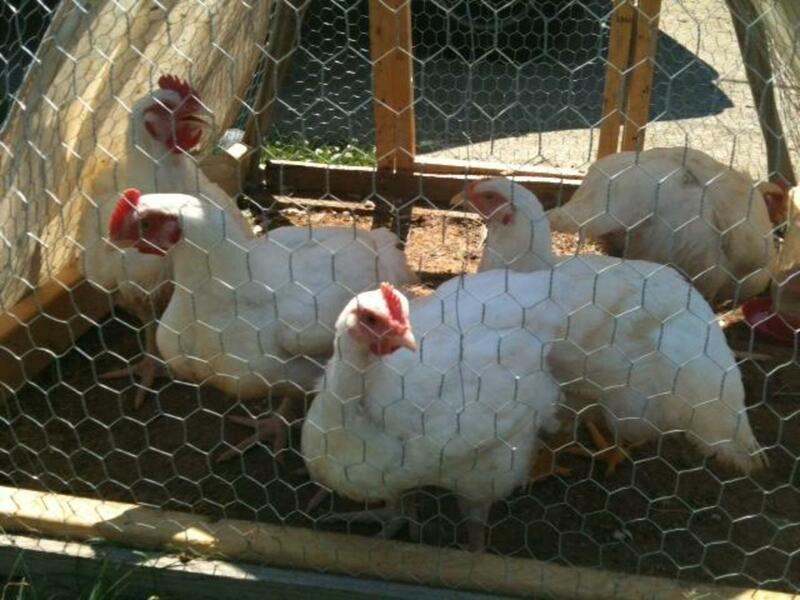 These chickens have been bred for enhanced and faster growth. Where a Rhode Island Red rooster would take months to reach processing weight, the Cornish Cross is ready in mere weeks. Their fast growth does pose some potential problems with the breed but with proper care, the roosters will be ready for processing at 8 to 9 weeks and the hens will follow at 9 to 10 weeks of age. It is best to raise these birds during the early spring or early fall. Since they are susceptible to heart problems, they do not tolerate heat very well at all. There will be less loss in the flock if they are raised when the temperatures are mild and cooler than the dead heat of the summer. Success rates are higher those times of year for raising Cornish Cross chickens. Raising these meat birds takes a little patience and understanding of the breed. There are a few steps that are different with the Cornish Cross than other types of chickens that can be raised for meat. Special attention needs to be given to their downfalls to ensure a healthy bird that will be ready for processing. The first thing you will notice about your day old Cornish Cross chicks is their down, their skin and their temperature. They are completely different than any other breed of day old chicks that you will encounter. Their shape may look a little odd if you are used to seeing other day old chicks. I compare them to tiny body builders because they literally appear to be top heavy and their heads look to small for their bodies. When you pick one of these chicks up, they are extremely warm to the touch. Their downy chick feathers are not fluffy like other chicken breeds. They look like they have been dipped in baby oil or have conditioner on their bodies that hasn't been washed off yet. They also have an odd odor to them that you don't find with other chicken breed chicks. It is not unusual for these chicks to act like they are literally starving to death come feeding time. When feed is placed anywhere near them, they will pounce on it like a band of piranha that haven't eaten in a week. This is where husbandry practices with the Cornish Cross start to go above and beyond other chicken breeds. You have to be careful how much and how often you feed Cornish Cross chicks because they will literally eat until their crops break resulting in chicks turning over on their backs, feet straight up in the air, dead from broken crops. That's a factor that comes with raising this breed of chicken. They do stink and this is the main reason why so many people who do not have chickens think that all breeds of chicken stink which just isn't true. The Cornish Cross puts out as much waste as it takes in and since the bird's metabolism is so high, it produces over twice as much waste as other breeds of chicken. This can pose a stinky problem if not properly maintained. 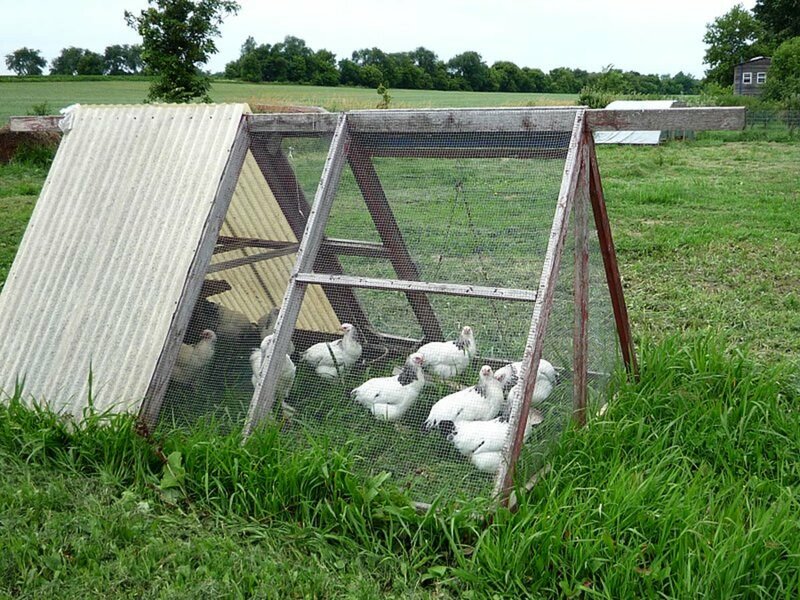 If the chickens are not in free range on a daily basis and do not have enough room in their pen, moving the pen daily or cleaning the pen daily may be necessary to keep the threat of illness in the chickens to a minimum along with the stench. I can not stress enough how bad the waste from these chickens stink. If you have never raised these chickens before, it will surely surprise you. You'll want to create some sort of waste management plan ahead of time so you aren't caught off guard! 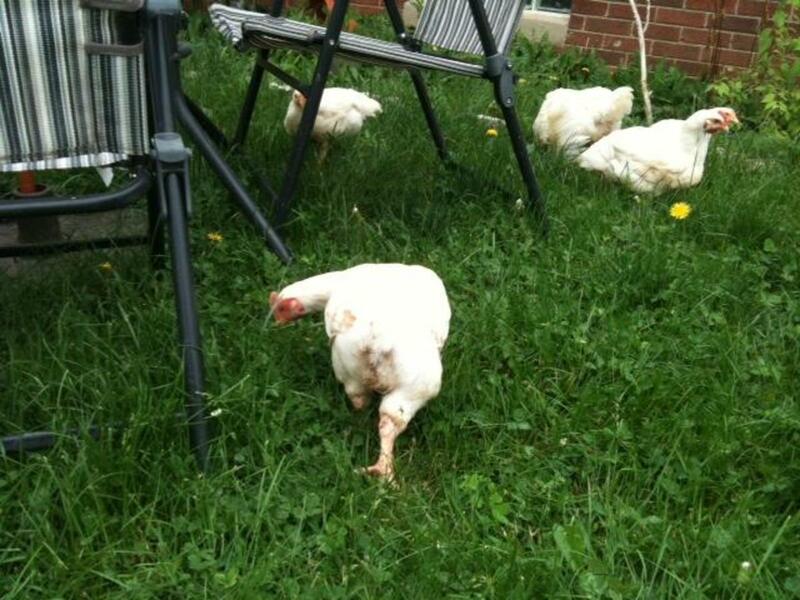 Leg problems because of quick growth that can cause some chickens to become lame before processing time. Brittle bones from fast growth that can cause them to break easily. Heart problems leading to stroke and heart attack because of their fast growth rate. Crop rupture because of their insatiable appetite for food. 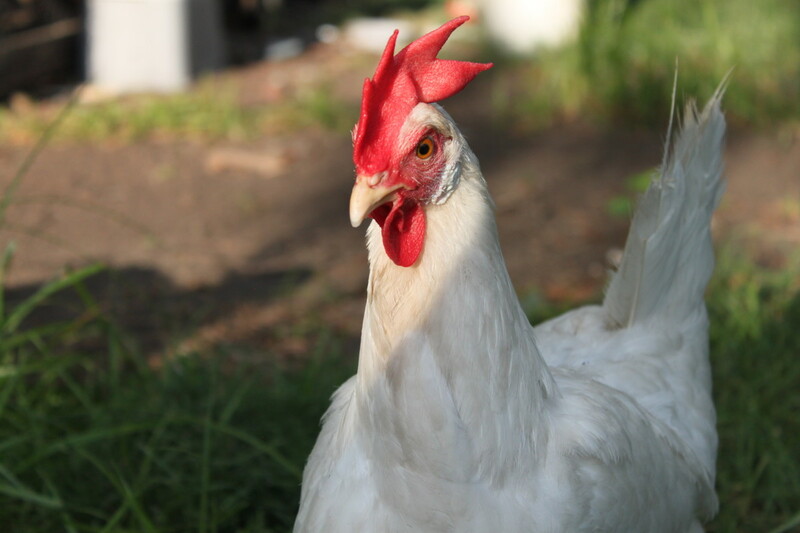 Since these birds have a bit of a different personality than most chicken breeds, their behavior and "chickenness" have been terribly misunderstood. I have raised quite a few of the Cornish Cross chickens for meat for my family and have taken note of their behaviors and things that individual chickens in this breed do have in common with each other. The Cornish Cross chicken does not like to move around much. That's hogwash and one of the myths about this breed of chicken that I think deprives them of their chance to be chickens before they become dinner. These chickens will dust bathe, roost and free range nicely. They are chickens and will thrive when allowed to be chickens. The Cornish Cross chicken can be kept as an egg laying breed. This is not completely untrue but it is unadvised. Since these chickens were designed to grow quickly and provide meat, usually by 16 weeks of age their legs will less likely to be able to support their massive weight and the chicken is more at risk to suffer a heart attack or serious leg problems. The hens of this breed are not very good layers and are not known for broodiness at all. The Cornish Cross chicken does not mix well with other chicken breeds. This is not true at all. 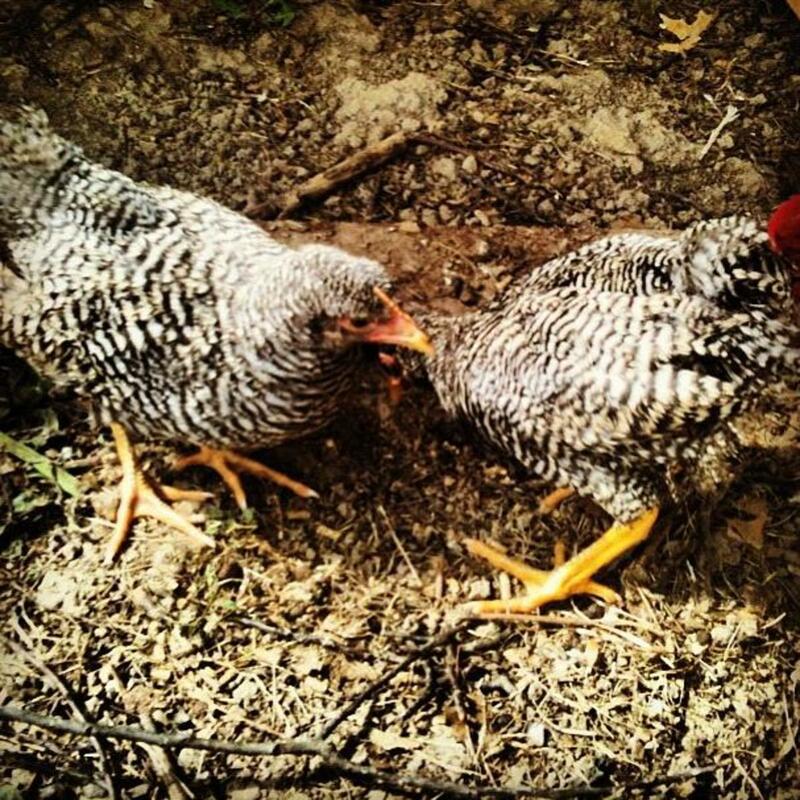 These chickens will get along with other chicken breeds. Just like any other flock of birds, they do develop a pecking order so any problems that arise are not a Cornish Cross problem, but an actual chicken hierarchy problem. There are a few tips at each stage of the chicken's life that can help ensure a fantastic result with the Cornish Cross breed. It is a little extra time and work but the pay off in the end is a fantastic processed bird at maximum weight that lived a better life as a happier and healthier chicken. The happier the chicken, the less problems that arise in raising them. Day Old- As soon as the chicks are home, make sure they go directly into a set up brooder box with a heat source, usually a heat lamp. They will need to be kept at a 90 degree temperature for the first week. Be sure to leave a cooler area in the brooder box in case one or more of the chicks needs a lower temperature for comfort. Place their food and water at opposite ends of the brooder, preferably water at the cooler end. You want to encourage the chickens to walk around. They will become lazy slobs if you don't! Week Old- You will want to keep an extra eye on their food intake. I occasionally pick one of the birds up daily at this point to check and see how full their crop is. One of the dangers of Cornish Cross chickens is that they will literally eat themselves to death. From here on out, do not leave feed in with them all the time. I give mine 15 minutes of feed time four times a day. That is plenty because they eat so fast. Always allow them access to plenty of fresh water. These chickens drink a lot of water! Month Old- At this point the birds will have most if not all of their feathers except for on the bottom breast area that touches the ground when they lay down. 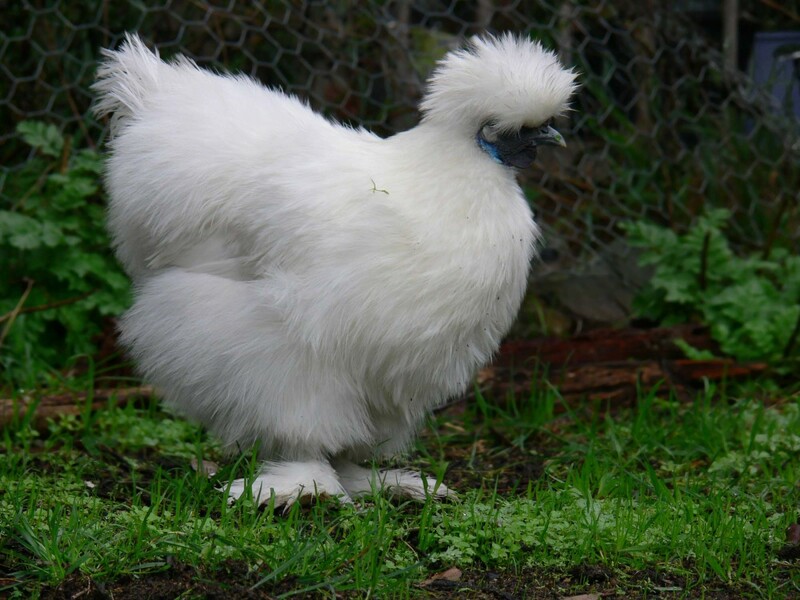 That is normal for this breed and a lot of the time those feathers will not come in. 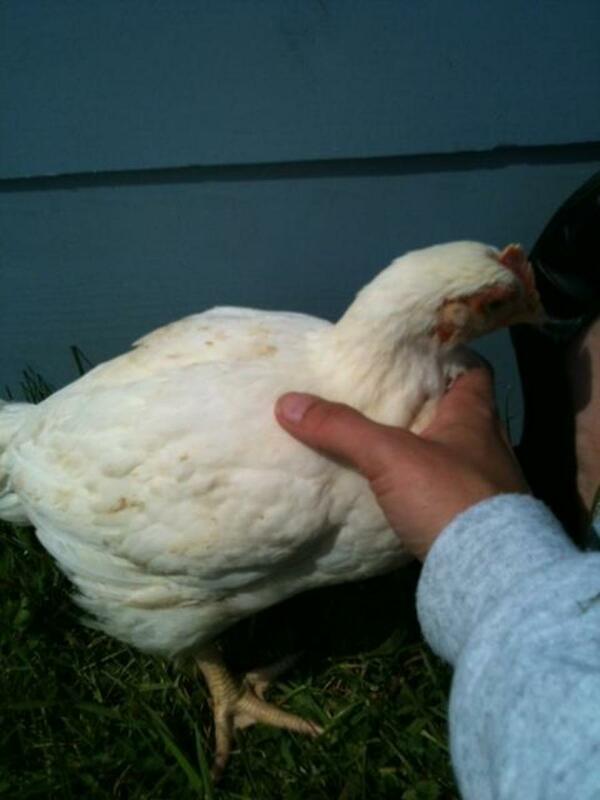 They are generally rubbed off because the bird spends so much of it's time laying down. You can have the birds outside and let them free range. This cuts down on feed cost and gives the chickens a lot of much needed exercise. Be sure to keep an eye on them if they are allowed to run and not caged because they will eat everything in sight, including your garden. Six Weeks- If this is your first time raising these birds, you will be astonished at their growth rate by now. They grow extremely fast. At six weeks they will literally look like adult chickens. The roosters will have started to develop waddles and their combs and waddles will be red. They will be active including running and making noise. You should also notice curiosity with almost everything they encounter. At this stage, you will want to consider adding corn to their feed for the last few weeks of life to help fatten them up to make the meat taste just that much better. 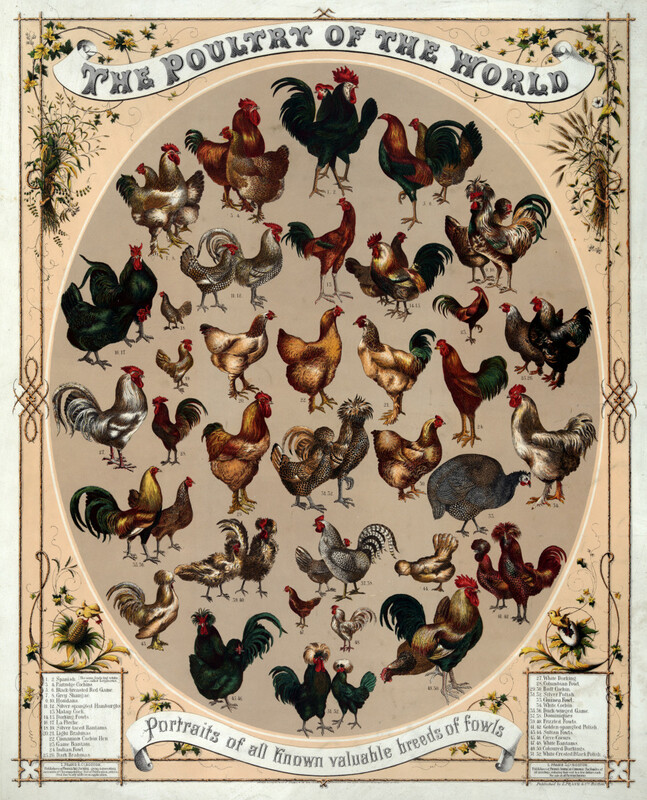 Eight Weeks- It is possible to get a dressed weight of a little over four pounds for the roosters at eight weeks. You will notice a bit of a slow down in how energetic and playful they are at this time. They become more content to lay in the grass in a shady area around the water source with short intervals of getting up to eat grass, bugs and anything else they can find. The roosters are usually ready for processing at eight weeks of age. Ten Weeks- Hens are generally ready for processing by ten weeks of age. At this point, the hens should dress out at a little over four pounds each. 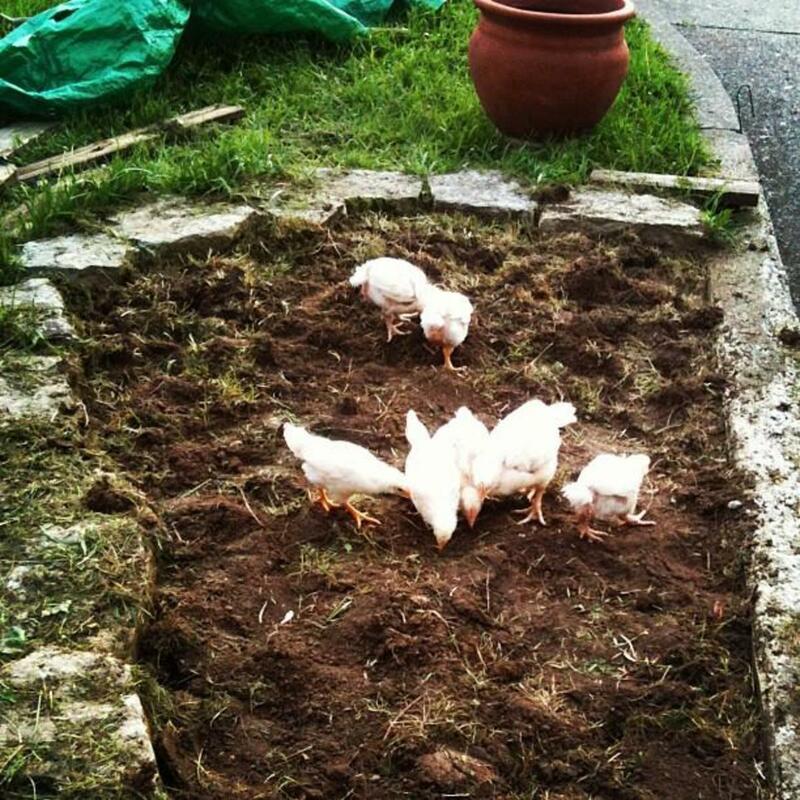 Have you ever considered raising Cornish Cross chickens? The Cornish Cross chicken is an excellent selection as a meat bird for raising your own food. 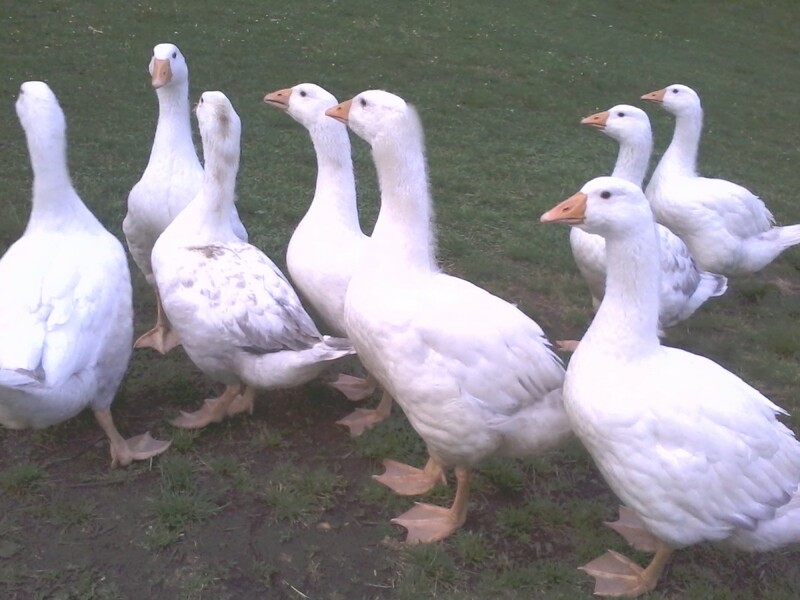 They dress out at a nice weight in a short amount of time which makes them a more economical choice than other breeds when raising your own meat birds. The key to a successful, great tasting bird at a nice dressed weight is to never forget that they are in fact chickens. The more chicken like you allow them to be, the better they will be for you in the end. 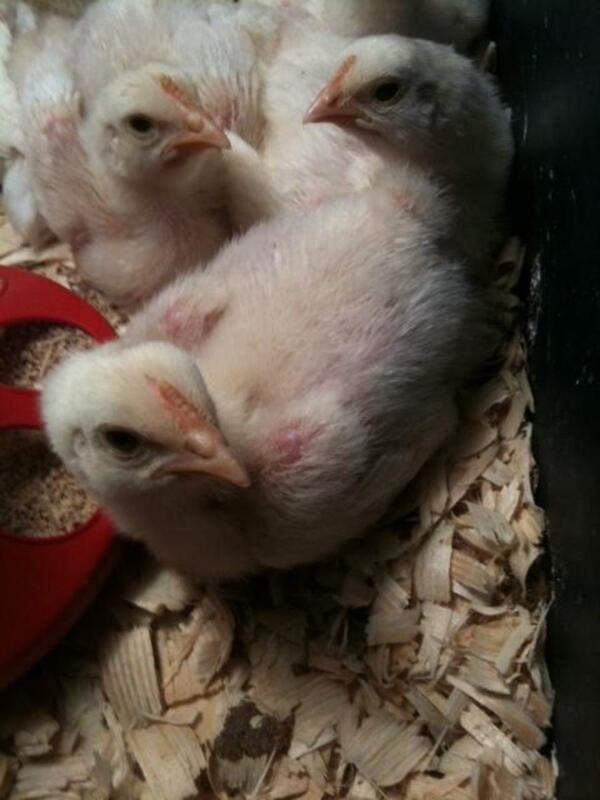 We are raising 9 Barred Rock chicks and we started out with 5 Cornish Cross. In our experience, the more robust and energetic Barred Rocks pecked at the lazy Cornish Cross. I read that the Barred Rocks think the CC chicks are sickly and want to end them. Omg! Yeah, so I had to separate them quickly. It was getting bad in a hurry! I saw them picking on the CC chicks in the morning and wgen I got back from errands, the CC chicks were a little bloody. Just be aware that heritage breeds are more instinctual or something and feel the need to cull less healthy looking birds. Eeek. Two CC chicks died suddenly, about 1 week apart. We now have 3. They are VERY lazy. I have egg layers, but have been thinking of raising a few broilers. My chickens free range during the day, but have a full feeder in their coop also. With free range you wouldn't be able to determine if they are gorging theirselves silly since the food source is theirs for the taking. Very good information, I really enjoy how well it is written. Great hub, very informative! Linked to this in one my hubs about raising chickens. @grandmapearl- Thank you! It's not for everyone but is certainly worth it if they can do it. We will never go back to grocery store chicken. There really is a noticeable difference in the quality, taste and texture of the meat and we know exactly what they are eating. Great info that I will pass along to my chicken-raising friends. Mostly they have egg-layers. I don't know if they have ever considered raising meat chickens. Very well-written. I like your photos as well. This is fascinating! A lot of my neighbors have chickens, and now I wish I knew what kinds they have. @VirginiaLynne - If you have a small number of them, 5 or less, the poo smell isn't as bad and is more manageable. It's the larger number that most people get for processing that can get pretty amazingly stinky. I couldn't believe that something that small could produce that much waste. I've never had the process photographed or video taped but will with our next batch that will be here in mid August for processing in mid October. The way we do it is more respectable to the chickens (we think so anyway), quicker and they don't feel a thing. We don't use cones or hatchets. Just a sharp blade and the chickens are held in our laps. They don't flop around afterward. Most places that process deer and farm cows will also process chickens. There's a place close to hear that will do them for about $3.00 per bird. Processing them yourself isn't for everyone and that's understandable. We grew up with it which I think makes a bit of a difference. I will do a hub about it with the next batch, that is an excellent idea, thanks! Wow--I learned a lot. I'd considered raising chickens for eggs but never thought about raising meat chickens and did not realize that you could have them ready so fast. 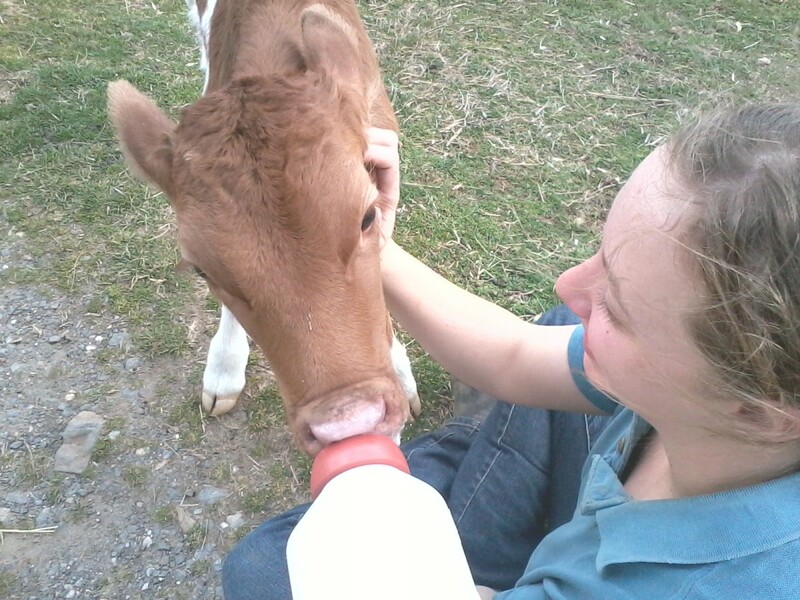 One of my girls wants to to 4-H soon. I will have to think about this possible chicken. I'm not sure about the stink though--we live close to our neighbors! I hope you will do a Hub about how to prepare the chicken for your table. I'm sure that is not an enjoyable task, even though it was part of daily life for most people until recently. I'm not sure I would actually be able to kill and prepare a chicken but I would very much like to know what that process is like. @angela michelle- I wish I would have had something like this when I first raised these birds because of the differences in them than all the other chicken breeds. They actually are interesting to raise and it's much easier when those "little" things are known. Thanks! Interesting for this city boy. thanks.